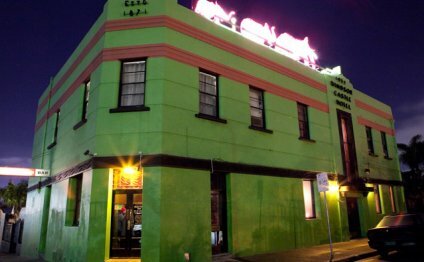 The Windsor Castle Hotel is an improbable oasis away from the hectic pace of Chapel Street and, nestled behind the train station on the fringe of its green suburb, it seems a mile away. The striking lime facade, complete with cinder elephants, may turn some away, as might the largely unremarkable front bar. But to do that would mean missing out on one of Windsor’s true summer gems. During the warmer months the Windsor Castle's courtyard is thronged with pretty bronzed folk, all drinking iced beverages and frosty beers. The bamboo fencing and leafy shade complete with ample seating and its own bar, make the courtyard an excellent venue for a Sunday catch-up with friends. The Windsor Castle Hotel is definitely a destination venue for the express purpose of enjoying the season’s rays; a few cold drinks may even have you singing the praises of the stock-standard pub grub, and its faded paisley and mahogany-clad kitsch interior. The Dean and Canons of Windsor are the ecclesiastical body of St George's Chapel at Windsor Castle. The Choir of St George's Chapel at Windsor Castle exists to sing services in St George's Chapel at Windsor Castle.